Preview: Dominican Republic Recognised as "Best Golf Destination for Latin America and the Caribbean 2019"
Dominican Republic Recognised as "Best Golf Destination for Latin America and the Caribbean 2019"
The International Association of Tour Operators of Golf (IAGTO), recognised for the fourth time the Dominican Republic as the "Golf Destination for Latin America and the Caribbean" in the framework of the celebration of the International Golf Travel Market (IGTM), in the city ​​of Ljubljana, Slovenia, event of which we published exclusively on October 17. 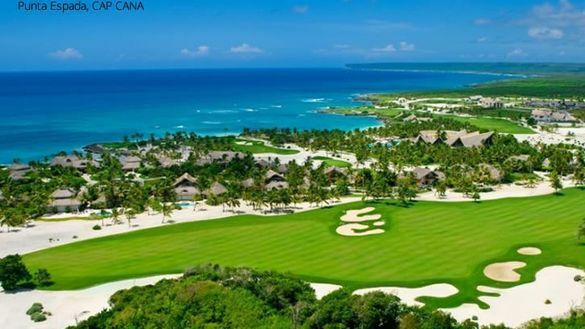 "We are proud that our hard work and impressive infrastructure are recognized by IAGTO as the Best Golf Destination in Latin America and the Caribbean in 2019," said the official. Toribio indicated that golf is an integral part of tourism in the Dominican Republic destination, and revealed to be satisfied that the golf offer continues to be recognized in international markets. While, Evelyn Paiewonky, director of E-marketing Mitur, upon receiving the award thanked the distinction on behalf of Minister Francisco Javier García, while noting that the country has excellent infrastructure, and shows the 86 holes that They overlook the sea and 39 by the ocean and on the 26 challenging and impressive golf courses that have helped the Dominican Republic to remain as the golf capital of the Caribbean. The choice was made by professionals from the tourism and golf travel industry: senior executives, travel buyers, tour operators, agents and media professionals. They were also issued by the public (consumers of golf tourism). The suffrage was carried out through a simple majority system to guarantee impartiality and independence. Votes were sent online through the World Golf Awards website, a subsidiary of the World Travel Awards, which serve to celebrate and reward excellence in golf tourism, world class golf and golf destinations.